Basalt goalkeeper Cira Mylott makes a diving save under pressure from Coal Ridge'sAileen Galaviz-Vega on Tuesday afternoon during the match against Coal Ridge. The Titans beat the Longhorns, 5-0. 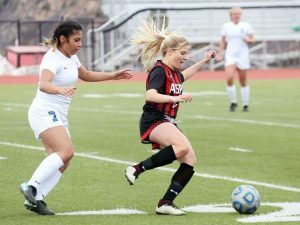 Paige Ryan, Aileen Galaviz-Vega and the Coal Ridge Titans struck early Tuesday afternoon in a 5-0 victory over the visiting Basalt girls soccer team. Ryan scored twice for the unbeaten Titans (11-0-0 overall, 7-0-0 in league). 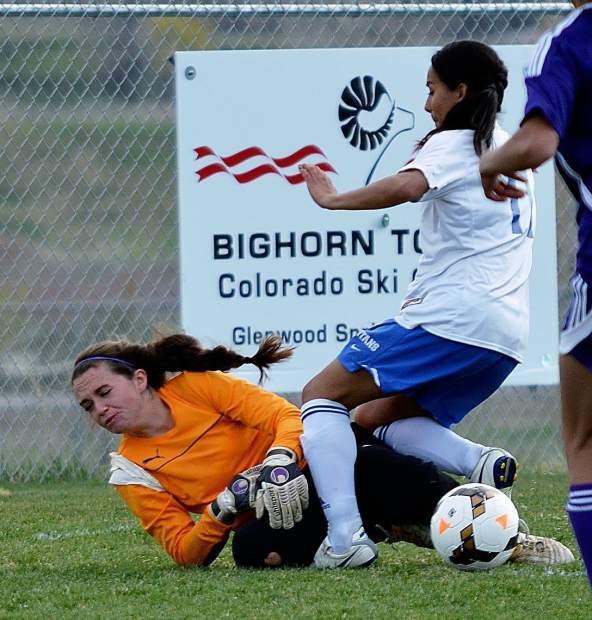 The loss was the first league loss for the BHS girls (3-4-1 overall, 3-1-1 league). The Horns will host Grand Valley at 4 p.m. Thursday. 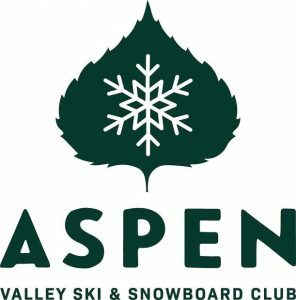 In area games today, the Aspen High School girls lacrosse team (6-2) will host Steamboat Springs (1-8) at 4 p.m.
Also today, AHS girls tennis will host Roaring Fork at 4 p.m. at the Maroon Creek Club. 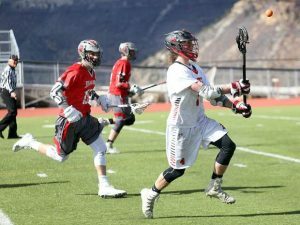 The Aspen boys lacrosse team (9-1), will travel to Vail Mountain School today. 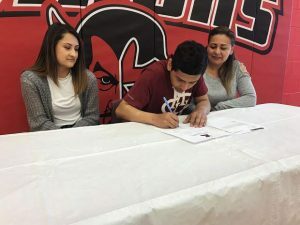 The Aspen baseball team will play the Glenwood Springs JV team at the Demons’ field in West Glenwood at 4 p.m. today.